Can I just say that this was the most impossible polish to capture??? Purples like to morph to blueish tones and holo rainbows are just so camera shy. After wearing Zoya Aurora it is now one of my favorite FAVORITE polishes! 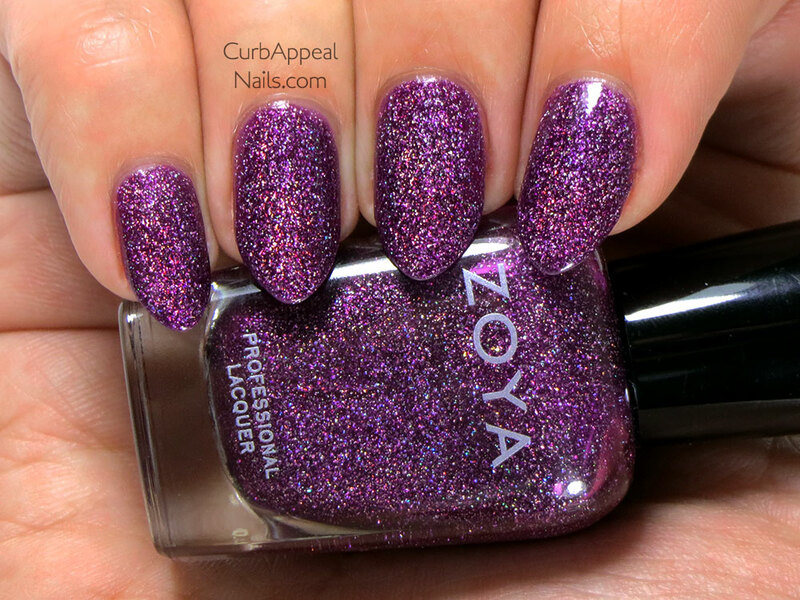 It is described on their website as a full coverage, medium sugarplum purple flecked with a high concentration of micro fine diamond holographic glitter. Yes, yes, and more yes. I again did my best in photoshop to remove the blue undertones that my camera deposited on the image. I think these came out pretty color accurate. But there is much more glowing scattered holo rainbows that it appears, trust me, this one is stunning!